No one likes to be injured or ill, and when we are, we want to be treated as quickly and as effectively as possible. However, sometimes treatment is not effective and not quick enough, and this can cause problems both in the short and long-term. Whether you have been misdiagnosed, incorrectly treated, been hurt due to negligent treatment or developed infection due to poor hygiene, we can help provide medical negligence Eastbourne Solicitors that will help you launch a compensation case. An internet search – Using a search engine to find a provider for your legal needs is one way to go about the process, but do you know that the claims on their site are valid? Reading reviews – Often, people post reviews of services that they have received. However, their case may be more or less complex than yours, so it is a good idea to keep this in mind when reading. Speak to family and friends – If a family member or friend recommends a solicitor, you could consider this as part of your search. However, do make sure that it is someone who is experienced in this field of law. Speak to the professionals – Here at Legal Expert, we have a whole host of information on the solicitors in Eastbourne that we can provide to you so that you can make an informed decision about the legal assistance you receive. Look for cases similar to yours – There is no point in reading great reviews on a personal injury solicitor who has not worked on medical negligence cases before. They may be very good at other personal injury claims, but without the relevant experience in medical, they may miss something that is relevant to your case, which could make a difference to whether or not your claim is successful. Look for solicitors that have more than a couple of reviews – One review, or very few reviews either means that the solicitor has not been practicing long or that they have a new website. It’s a good idea to ask them if you are unsure on which this is. Don’t necessarily discount one or two negative reviews – It goes without saying that not all medical negligence claims are successful, but this is not always the solicitor’s doing. Sometimes a claimant will not have a claim for compensation accepted for other reasons, and if they are angry about this, the kneejerk reaction is sometimes to post something online. If, however, there are a lot of negative reviews saying similar things, then it is perhaps not your best choice to go with that solicitor. Does the Solicitor’s Location Matter? Before using the internet became second nature to us, people chose Eastbourne solicitors that were locally based. This is not now the trend, and many people choose to use solicitors that they can contact by text, email, and phone, even though they may not be based anywhere near where the case takes place. Here at Legal Expert, we have a medical negligence team covering the Eastbourne and East Sussex area for medical negligence that happened in Eastbourne East Sussex. Simply call to find out more. What Medical Negligence Claims Can We Conduct? Not all medical negligence claims can fit into a category, such is the range of things that can be classed as medical negligence, but we have listed some of the most common types of claims that we here at Legal Expert can help with. Take a look at the sections below to see if they apply to your case. If not, why not call us to discuss whether we can help with your claim. There are a number of different GP Negligence Claims that can be brought. Whether your GP has missed signs of illness during a check-up, prescribed the incorrect dosage or incorrect medicine, or has injured you further while treating you, you may have cause to launch a GP Negligence claim. It is vital to note that it is not just NHS & GP Medical Negligence Solicitors we can help with, we also cover private practice. 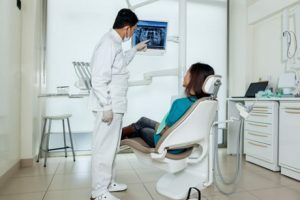 Whether you were searching for a whiter smile or needed dental treatment for another reason, your dentist has a duty to provide a good standard of care. Whether they have missed the signs of gum disease, suggested a course of treatment that is not suitable and that has led to further problems, or poor hygiene has led to infection, you may be able to make dental negligence claims. Cancer is one of the most scary words to many people, and it is clear to see that quick treatment and quick diagnosis can make a real difference to many cancer patients. Whether the person treating you has done so negligently, leading to further problems, or a diagnosis opportunity has been missed, leading to the cancer spreading, this can have long-lasting effects on the health of you, the patient. If you feel your diagnosis or treatment has not been up to the standard expected, then cancer negligence claims can lead to better treatment for others in your position, as well as financial compensation for you. Entering hospital, either as an inpatient or an outpatient is supposed to be for treatment or diagnosis that will make a health problem or injury better. From a missed fracture to an infection contracted inside the hospital, there are several breaches to a hospital’s duty of care that Legal Expert can help you make hospital negligence claims for. Of course, this list is not exhaustive, but the consequences in some cases can be traumatic. Should you feel you were subject to negligent treatment in childbirth, then call our team, who can help you to begin childbirth negligence claims. Please do not hesitate to contact our team whether your specific situation is listed or not, as we are sure to be able to offer advice and provide you a solicitor to deal with nursing home negligence claims. If you were looking for statistics that cover the number of incidents and claims in your area, you can find them below in the table. We have provided comparative data for other trusts in the area, so you can get a bigger picture of what has occurred. Making medical negligence claims need not cost money upfront, and with no win no fee agreements with the solicitors we can provide to you, you will not be required to pay money out should your case not end with a compensation award. This works by way of an agreement that any legal fees at a pre-determined level be taken from the compensation you are awarded for your case. To learn more about no win no fee medical negligence solicitors, why not call our team of Legal experts. Whether you would prefer to receive more advice about negligence cases or you are ready to begin to look for solicitors in Eastbourne East Sussex, then we are ready to take your call. 0800 073 8804 is the number to call to be connected to our legally trained experts, who will talk you through what’s expected and what happens next. Alternatively, click on our medical negligence online chat link. To find details on how a claim would play out with a guide to compensation amounts, click the link above. To read more NHS statistics other than those mentioned above, click the link above.